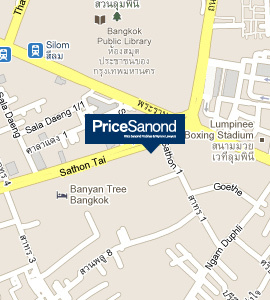 PriceSanond has significant experience registering various products on behalf of clients with the Thai government. Product registration in Thailand is based not only on the nature of the product, but also on the substances in the product and thus in many cases more than one agency may be involved in the registration and approval process. The principle agencies involved, however, tend to be the Customs Department (for imported goods), the Department of Industrial Works and Thailand’s Food and Drug Administration. Household cleaning products of all kinds. Products used for care and cleansing of clothing, such as detergents and bleaches. Personal hygiene products, such as shampoos and soaps. Mosquito repellants, including apparel containing mosquito repellants. Office and commercial items, such as printing dyes and products used to make industrial labels. Petroleum products and products used in the petroleum industry. Scheduled hazardous substances and chemicals used in various industrial processes (e.g., manufacture of cathode picture tubes and computer products). We have experience in assisting clients with each stage of the registration process, including identifying the necessary agencies involved in the registration process, preparing and reviewing the registration applications, and liaising with officials at the relevant agencies at all stages of the process. We have also experience with related laws, such as Thai Customs laws, Thailand’s Thailand Unsafe Product Liability Act (product liability), Consumer Case Procedures Act, Thai laws relating to distribution and franchise relationships (e.g. Unfair Contract Terms Act), and general Thai civil and commercial laws.